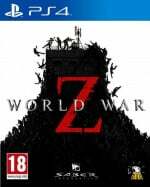 World War Z will get you in the zombie stomping mood when it releases on 16th April – ten days prior to Sony’s own apocalyptic shooter Days Gone. Saber Interactive’s co-op title obviously has a multiplayer focus, so it’s not identical to the PlayStation 4 exclusive – but its emphasis on the undead did prompt the American developer to contact the platform holder about the possibility of an online mode. To be honest, we’re in the mood for some schlocky multiplayer zombie action, so we actually think this might hit the spot. If you agree, then pre-orders will come with the ‘Lobo Weapon Pack’, which includes gold skins for various guns, as well as a bonus melee utensil which promises to make “mincemeat of the undead”. Hell yeah! Well,get ready for days gone to have another lengthy delay. @hulkie I don't think so lol. @hulkie days gone look like a much better game then world war z which look like a ps3 game. Im just joking,but it does seem that whenever theres a game even slightly related to it,it gets delayed. Im looking forward to days gone day 1. Graphically looks very poor, animation looks sketchy and game play looks like it will get very boring after an hour or so, hard pass.